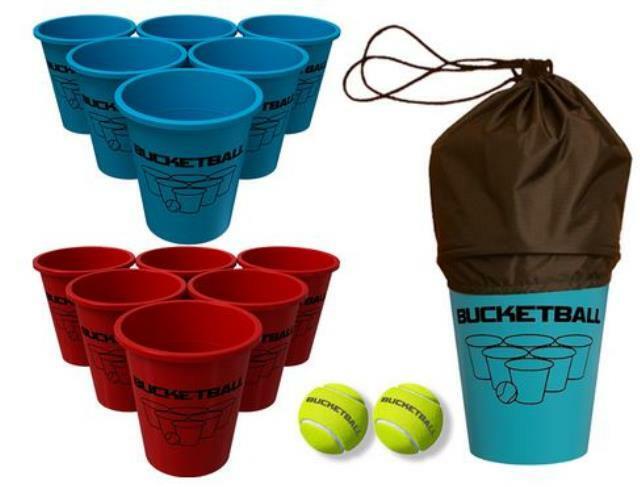 BucketBall is played by setting up two sets of 6 buckets in triangular formation separated 30 feet apart. Each player on a team tries to throw the ball into the opposing team's buckets. If a ball goes into a bucket, that bucket is removed from the game. The first team that makes all of the buckets first WINS!!! * Please call us with any questions you may have about our bucketball game rentals/sales in State College, serving Central Pennsylvania.